As network speeds increase, more devices such as IoT are added, workloads move to the cloud and threat detection time is up to over 108 days, how do you architect your security to get the right visibility for you and your security tools? As companies enter the digital business era, demand for high-speed 100GbE at the core and edge of the network to support bandwidth-intensive applications grows. However, the ability to provide accurate real-time visibility to monitor multiple links at full line-rate is a challenge that legacy monitoring architectures struggle to handle. 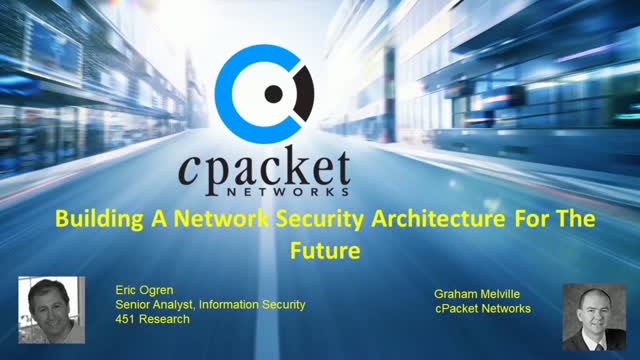 The network packet brokering solutions from cPacket provide network visibility you can trust, delivering reliable real-time data to the right security and network monitoring tools. Securing network traffic from threats and preventing breaches can be expensive and sometimes ineffective. cPacket has a unique solution that does more, costs less and frees up staff to find threats.